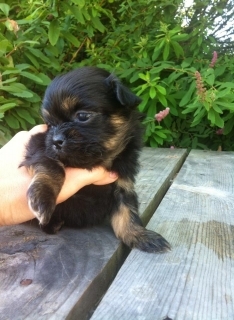 This is a really cute male shih Tzu puppy who will be 10lb full grown. 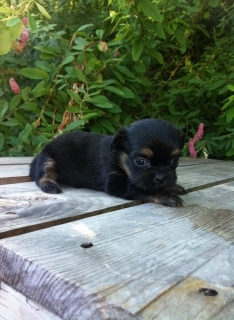 This puppy is de-wormed and really playful. Loves to cuddle, loves kids and really energetic. This puppy will ready on July 30th. His mother is a mix doggie Shih Tzu-Lhasa apso 10lb and father is a pure breed shih Tzu 9lb.